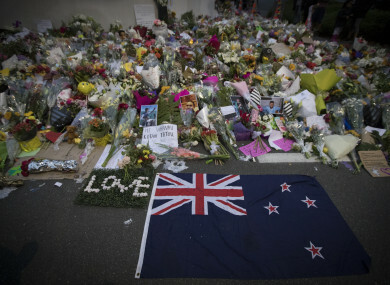 AN 18-YEAR-OLD has appeared in a New Zealand court charged with distributing the livestream video of a deadly mass shooting at Christchurch’s Al Noor mosque. A judge did not grant him bail and he is due back in court on 8 April. District Court Judge Stephen O’Driscoll added that details related to the charges were also to be suppressed. The court-appointed lawyer to Tarrant, meanwhile, has said the alleged attacker plans to represent himself and appears “rational”. New Zealand’s government agreed measures today “in principle” to tighten gun control laws in the country. Prime Minister Jacinda Ardern said details of the measures would be rolled out before a cabinet meeting next Monday, saying “the time to act is now”. “We have made a decision as a cabinet, we are unified,” she added, flanked by her coalition partner and deputy prime minister, Winston Peters. Ardern has also announced that an inquiry will be launched into how and why the suspected gunman was not picked up by intelligence agencies prior to last Friday’s attacks. Email “New Zealand teen appears in court charged with distributing video of Christchurch mosque shootings”. Feedback on “New Zealand teen appears in court charged with distributing video of Christchurch mosque shootings”.